“Hi ! I just wanted to send my own thank you email expressing how much I appreciated your hard work and dedication to our wedding. It was a beautiful event and far surpassed my hopes for the day. When we first thought of Cabo as our destination I had no vision of what I wanted, I just knew the magic we feel down there would make for an unforgettable experience for our family and friends. You made everything for our guests seamless and from what we’ve been told by numerous guests, “the best wedding ever”! I only wish that Vic and I could have been guests to our own wedding!! 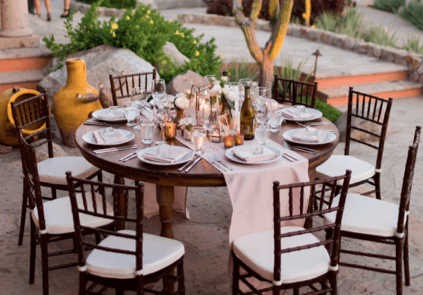 This entry was posted in Testimonials and tagged ACCESSORIES, Cabo beach wedding, Cabo decor, CABO LINENS, cabo private party, Cabo wedding design, CREATIVE DESTINATION EVENTS, DESTINATION WEDDING, LOS CABOS, Mexico wedding, Wedding design.